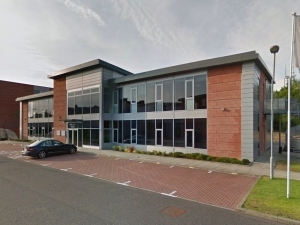 Hawthorne Boyle began as a two man Partnership in Greenock in 1986, and has evolved since then to a Private Limited Company with over 20 staff operating in all sectors of the Building Industry. We relocated to new premises in Glasgow in 2014. Construction projects require a full range of consulting skills to satisfy not only the needs of economics and planning but also to harmonise the development within the environment and to meet social needs. HB offers a full professional service in all disciplines of building services engineering. We are highly experienced in the specification, design, construction and management of all engineering services associated with the built environment. By recognising that every project is different and applying our commitment to engineering excellence we provide practical, efficient and cost effective services to the construction industry. The unique blend of skills within the business offers clients personal attention from the Directors to ensure a cost effective and energy conscious solution to the services problems presented by new and refurbishment building projects. Our creative and holistic approach embraces issues of operation and maintenance, including life-cycle costs, sustainable operation and occupant feedback. Through consultation and experience, we can add significant value, and deliver a product that always represents the right value in terms of capital cost, life cycle and operational effectiveness. We can field highly experienced teams, deploying progressive IT systems and analytical tools to create the models and visualisations which deliver a lucid evaluation of both traditional and innovative design solutions.